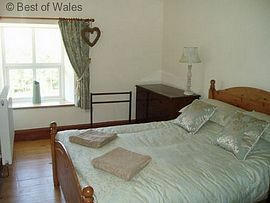 Tanrallt is a Luxury Holiday Cottage, 3 miles from the picturesque village of Betws-y-Coed, North Wales. Situated right in the heart of Snowdonia, walking, trekking, canoeing, tree-top climbing, mountain biking, golf, fishing and angling are just a few of the outdoor activities available on your doorstep at Tanrallt cottage. Betws-y-Coed also has award winning restaurants, a choice of pubs, grocery shops and gift shops. 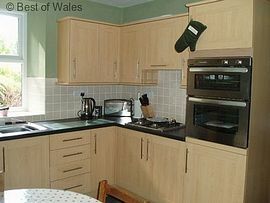 Kitchen - Newly fitted kitchen with modern appliances eg dishwasher, fridge-freezer, microwave, new oven and hobs. Kithchen dinning table for 6. Original stone flooring. New boiler which controls heating for the whole house. Dining room - Adjacent to the Kitchen. Dinning table for 6, 3-seater sofa, bookshelves with a selection of books and piano. Original stone fireplace. Living room - Large, comfortable, classic living room with 3 two-seater sofas. Original inglenook stone fireplace with wood-burner stove. TV with freeview, DVD and video player. Views over the Conwy and Lledr Valleys. Bathroom - Large, spacious, modern downstairs shower-room with large shower, basin and toilet. Heated towel-rail. Original stone floor. Coat-room - The backdoor opens into the cloakroom, which also houses the washing-machine. Ideal for walkers with muddy shoes! Bedroom 1 and 2 - Large double bedrooms with wardrobe, chest of drawers, bedside cabinets with reading lamps. Light and airy, tastefully furnished. Original wooden floorboards with rugs. With views over the Conwy and Lledr Valleys. Bedroom 3 - Smaller bedroom with a bunkbed, wardrobe and dressing table, bedside table with reading lamp. Original wooden floorboards with rug. Tastefully furnished. Bathroom - Spacious modern bathroom with bath, shower, toilet and wash-basin. Heated towel-rail. Slate-tiled flooring. Large garden surrounding the house, with a lawn area and garden furniture. Views over the Conwy and Lledr Valleys. 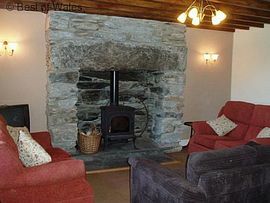 A Luxury Holiday Cottage, 3 miles from the picturesque village of Betws-y-Coed, North Wales. 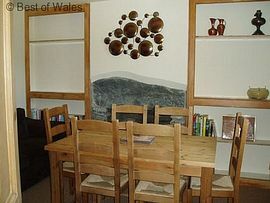 Situated right in the heart of Snowdonia National Park. Local Services: 3 miles from the picturesque village of Betws-y-Coed in the heart of Snowdonia. Just off the A470, with stunning views of both the Lledr and Conwy Valleys. Private and tranquil setting. Village of Betws-y-Coed has award winning restaurants, a choice of pubs, grocery shops and gift shops. 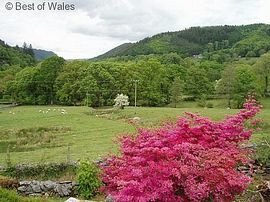 Llanrwst which is approx 4 miles away has a supermarket and more restaurants and pubs. Situated right in the heart of Snowdonia, popular attractions include the village of Betws-y-Coed, with the nearby Swallow Falls, Conway Falls, Fairy Glen, Snowdon with the Mountain Railway, Dolwyddelan Castle. Llechwedd Slate Caverns at nearby Blaenau Ffestiniog. Also, further down the coast are Bodnant Gardens and Conwy Castle. Walking, trekking, canoeing, tree-top climbing, mountain biking, golf course, fishing, angling are just a few of the selection of outdoor activities available in the area with various companies organising activities in the area. Continue along the A470 for 3 miles, turn right over the Lledr bridge (a small stone bridge). Continue up the road - take the first turning on the right and as you continue along the small road it is the second house on the left. There will be clear Signs for Tanrallt cottage from the entrance on the A470. When leaving Betws-y-Coed, continue along the A470, taking a right-turn by the Ty Gwyn Resteraunt. Continue along the road, you will pass the Fairy Glen Hotel, crossing the bridge and continue along the road for 500 yards - take the first left turn over the Lledr bridge (small stone bridge). Continue up the road - take the first turning on the right and as you continue along the small road it is the second house on the left. There will be clear Signs for Tanrallt cottage from the entrance on the A470.